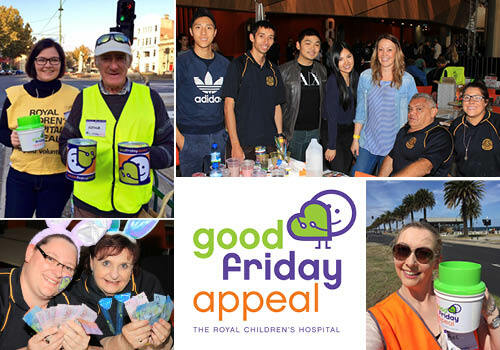 Each Easter, UBC coordinates thousands of enthusiastic volunteers, raising money for the Royal Children’s Hospital Good Friday Appeal. Hi I am applying for a child’s check in order to volunteer and was just wondering if you could provide me with the organisation’s details? What is the postal address of the organisation? Mobile OK. For landline, include the area code without spaces or symbols. Greetings Angela – I will email you the details. Hi Stephanie, my name is Shaun cornell. I signed up to volunteer with the Good friday appeal again this year and as i have had troubles with my email i had to change it so i hope i haven’t missed any from you.